This page contains informations about the indoor localization and the strategic team of which the company is composed. In particular the development team is composed by people with various specific skills. There are researcher’s profiles, technical profiles with experience in sensor fusion and complex systems and specific profiles with expertise in finance and business administration. Do you want to get more details on the specific development team skills and about us? Contact us by email at info@gipstech.com will give you all the information you need. Our technology platform moreover comprises established technologies such as Wi-Fi and i-Beacons, that contribute to the robustness of the solution with the aim of leveraging whatever RF signal we can find already in the environment. No installation is required. 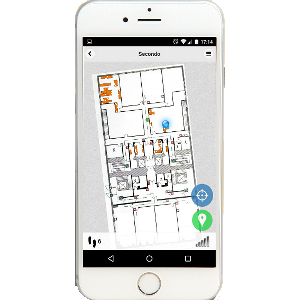 The basic need that GiPStech fulfills is the lack of an efficient, inexpensive and reliable indoor positioning and navigation solution; a solution able to overcome the tradeoff between precision and cost of infrastructure setup and maintenance, imposed by technologies currently available in the market. GiPStech tecnology is designed with attention to details. Our intention was to create a powerful indoor localization and navigation platform that would to look cool and awesome. We integrated many different tecniques to obtain a precise and reliable indoor localization and navigation tecnology. We plan to growth faster and to create soon a new branch office in Silicon Valley. Our team is the perfect mixture for a technology startup: a founder team made of three senior PhD engineers with years of experience, one MBA with business experience in startups. The team has been expanding, including more developers and researchers and experienced advisors and investors. The largest business Angel group in Italy.